Columbia Heights art gallery and event space The Dunes has been hosting interesting events just about all the time lately. They host the Open Hours happy hour series (launching last night), there will be a Girls Rock DC fundraiser dance night next month, and local menswear label Derringer Friday are taking over Derringer Saturdays. 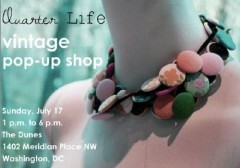 Add to all that another reason to stop by: The next pop-up vintage bazaar put together by Quarter Life. While Lisa, the blogger and thrifter-extraordinaire behind the Quarter Life project, is known for her fabulous finds, for this event she is calling in extra reinforcements. Peddling along with her will be Pretty People Vintage, offering selections from their newly-opened Old Town Alexandria boutique. The very same boutique just named “Best New Vintage Store” by Washingtonian. There will be music, summery rum cocktails, and credit cards will be accepted – just in case the rum lubricates the purchasing of more vintage frocks than you have cash to buy. 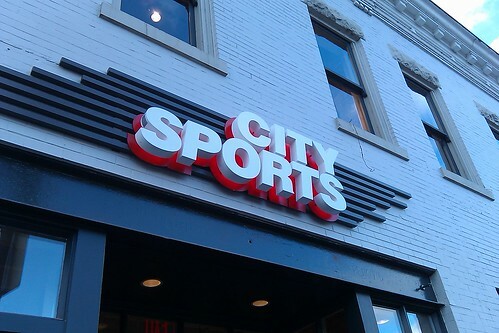 If your morning commute takes you along the Georgetown section of M Street, then on Tuesday morning you likely saw a long line of cold, sports enthusiasts waiting to get the first peak (and swag gift bags and prizes) at the City Sports flagship store located at 3338 M Street, NW. The two story, 1000+ sq. ft. space is the 18th location for the City Sports group and offers shoppers not only fashionable and functional merchandise, but the opportunity to explore, learn and experience the various DC-based athletic activities and groups. Given the current weather—SNOWOMG! Definitely hit up this City Sports, as it has all the outdoor, thermal underwear, winter boots, snow pants, puffy jackets, fuzzy sweaters, wool hats, Everest climbing gloves, you’ll ever need. Oh so, practical and oh so stylish! Am I ever glad to have this kind of day. I just stepped outside and was surprised by how warm it is. The forecast looks good for another week of pretty decently warm weather, at least. 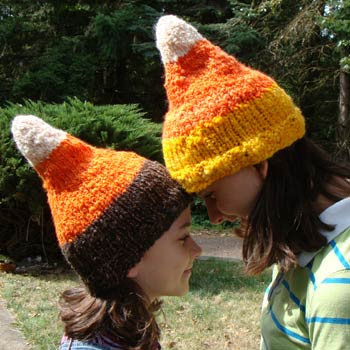 I reckon around the end of the month it might get so cool that I will need to pull out my receptacle tip candy corn hat but for now I’m enjoying the mild weather. How do you like the weather so far? Ready for winter or, like me, on the verge of dreading it?